Equal opportunity is the bedrock of freedom. This nation was established to preserve, protect, and ensure that opportunity. The United States (and the world) will need to make a very important decision over the next 30 years: whether to choose democracy or capitalism. Democracy protects equal opportunity while capitalism (as practiced today) stifles it. Let’s ask some questions to help us see in what ways capitalism and democracy are incongruent. Our first task will be to precisely describe our terms. 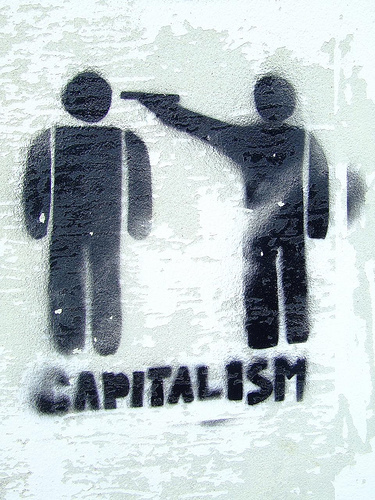 What is capitalism and how does it differ from free enterprise? It was Marx who first used the term to describe the oppressive and face-grinding economic environment of aristocratic Europe that was buoyed up by legal protection of the few at the expense of the many. Capitalism today is an economic system where the government favors those with capital over those with little or none. It’s a marriage between government and big business. You don’t see small businesses being “bailed out” right now, do you? There’s a reason for that. Although capitalism suffers from these weaknesses, we should recognized that it is a much freer system, both economically and politically, than either communism or socialism. Nevertheless, capitalism is the systems in which those with the capital make the rules. The rules are made to benefit themselves at the expense of new competition. This is accomplished through financially-privileged and unequal access to political influence and power. For example, a small business owner would have a difficult road competing against a large “box” store, not only because of volume and pricing (which is part of market forces and free enterprise), but because of fewer obstacles (paperwork, fees, etc) the large “box store” would face because of laws and favors granted due to financial influence (which is what makes it capitalism). This environment results in exclusionary practices and limits opportunity; and this is where our current state of capitalism breaks with democracy. Free enterprise is the legal framework that allows all with the desire and the idea and the creativity to compete on a level playing field; free enterprise is therefore more democratic because it is based on equal opportunity before the law. In contrast, capitalism is the legal framework that leads to aristocratic structures by providing advantage to those who have capital via protection and perpetuation of wealth. What is democracy and why is it currently tightly associated with capitalism? Democracy is another term with many loose definitions. Historically it denotes that the common people (demos) rule (kratia) in that the population of the society controls the government, and that the government is for, of and by the people. There are many brands of democracy but they are all distinguished from other forms of government by general population-based input into the political process. Aristocracy, the rule by “the best” (generally determined by birth or status that almost always rule for life) and plutocracy, rule by the wealthy, are enemies of democracy. Our current brand of capitalism tends to create and then maintain these other social forms. Historically, free enterprise was tied to democracy by the American Revolution, as much of the reasoning for war was a push-back against British mercantilistic policies imposed upon colonists accustomed to operating within an essentially free market. With the advent of communism and socialism in the mid 19th century and their rise at the turn of that century, capitalism stood out as the “more free” of the economic systems and the alliance with democracy was forged. This bond was fortified during WWI and WWII and the Cold War as the world battled between democracy and totalitarianism. Why is “a government of the people, by the people, and for the people” inconsistent with mercantilistic capitalism? 1. The increasingly manipulated legal system of capitalism, set up in order to preserve and protect privileged access to the market (try to get a franchise license without incredible personal assets), causes the political process to concurrently become less and less democratic. Although we are given the impression that the process is becoming more democratic (that we can vote about more things), reality is that those who we choose to represent us are increasingly influenced, and to that degree, controlled by those who fund their political ascendancy. This tends to aristocracy or oligarchy (rule by the few). 2. Thus, only those with legal and political influence are able to manipulate the system to their advantage. At some point (I think we’re getting close) the common man disengages from the political and civil conversation and the wealthy and powerful (whether conservative or liberal) are the only ones involved in the functioning of government, making decisions based on protecting their wealth and power. 3. Even if the political structures don’t change form, the economic and legal systems create a de facto wealth-based aristocracy. The ability of the common people (demos) to influence the political situation diminishes into insignificance and thus capitalism changes the political structure. 4. The laws currently in place give capitalism a decided advantage in the choice between capitalism and democracy. Money purchases political influence and will continue to bring into play laws that perpetuate the capitalist system at the expense of free enterprise and democracy. 5. Remember that we are not talking about overnight change. This is a trend that has progressed for decades. Only now are we able to distinguish the two, and we need to choose before we reach a point of no return. How are democracy and capitalism perceived internationally? The United States is currently the self-proclaimed “bastion” of both capitalism and democracy. However, in international opinion the U.S. government is associated (through sad experience) with rapacious capitalistic policies and oft-times hypocritical democratic interventions that have been claimed have the intention of “spreading democracy and prosperity,” only to have had the opposite effects in multiple countries throughout the world. Much of U.S. foreign policy has supposedly been to “spread democracy”; however the means chosen seem to indicate that the purpose has been to make the world safe for mercantilistic capitalism at the expense of popular sovereignty and paced and sequenced movements, determined by each country, to improve the freedom in their markets and the prosperity of the people of these lands. It’s not yet clear whether the incoming executive administration will continue to force on other countries the concepts of free government and free markets through the use of the military and international financial organizations. Regardless, we must choose, as soon as possible, whether as a people we will continue to align ourselves with mercantilistic capitalism, or if we will trust free government, free markets, and popular sovereignty. Our rampant commercialism, consumerism, and materialism indicate which way we are leaning. Our ethics and our legal system to which we sacrifice our morals demonstrate that we value capital and wealth (and especially protecting it) more than we value liberty. We demonstrate that we would rather have an aristocratic plutocracy govern us than to govern ourselves (if it means we can maintain our current level of luxury). Mercantilistic capitalism is winning in the U.S. and will continue to do so until appropriate corporate and tax reforms are undertaken and until financial influence of the political system is eliminated. Will we wait until our own government implements “Intolerable Acts” that protect its mercantilistic desires at the expense of the free market, or until our foreign economic and political policies become so unfair that our security is even more seriously compromised? Or will we pro-actively choose democracy, free enterprise, and liberty at home and abroad? We must call our current economic system what it is — mercantilistic capitalism — recognize how distant we are from liberty in our government and our economics, and move forward the overhaul that needs to occur. Mike Wilson received his B.S. degree in Chemistry from Brigham Young University and pursued graduate work at the University of California, San Diego, where he earned a M.S. degree in Biomedical Sciences prior to obtaining his M.D. at the UCSD School of Medicine. 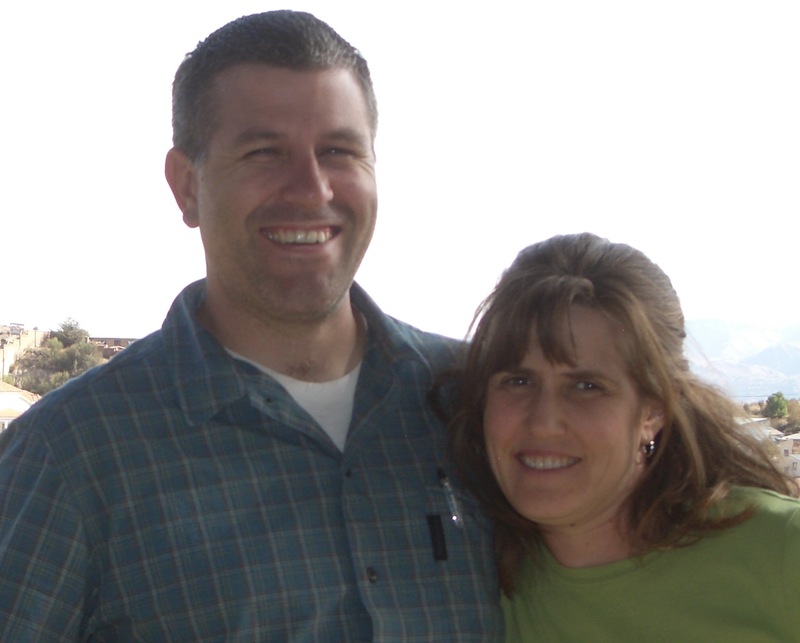 He lives in Cedar City, Utah with his wife Jenni and their six children and practices emergency medicine in St. George, Utah while working on a Ph.D. in Constitutional Law at George Wythe University. He is also an Associate Mentor at GWU. Mike’s passion is promoting idea that the common man has power and capacity to affect grand change in the world through true principles of love, goodness, and virtue. Because of his Jeffersonian trust in the common man, he considers himself a “little d” democrat (an ideal, not a political party). He believes that the cause of liberty is founded essentially in widespread powerful education, checks on power, and promotion of virtue and goodness. Force is never a real solution to problems for Mike and the statesman’s role is to understand the ideal, see where society is, and then put himself in a position to move society in the direction of the ideal. Great article Mike. The 1st step to change is understanding the problem. I’m excited to discuss how to make it happen. I don’t believe its through political process alone. There’s not currently enough education and personal/community change that occurs during elections. Implementing change should gain substance through local networks but be distributed and publicized through our personal and distant relations. The local networks and community are where our sovereignty and sustainability originate and where long-term power for change can best occur. Local communities need to have success and then communicate stories and methods with other communities in a structured way in which other communities can effectively “buy into” the results. The origin of tomorrow’s democratic legitimacy. Allen, I agree with your point that politics alone won’t effect the changes we need. I think we need change to be focused on culture and education, then politics tends to naturally follow. Mike, as I read your article above the concept of virtue flashed into my mind. We need more private virtue as a strong foundation from which to share our principles; we need more public virtue in order to make the changes and sacrifices necessary for the good of the whole, whether that whole is a family, community, or nation. Do we have the character necessary to sacrifice personal gain by supporting policies based in true principles? Even when those policies might hurt our income, wealth, security, or social status? I ask that question about myself. I hope the answer is yes; I suspect the truth is that our personal answers are dependent on the depth of our private virtue.